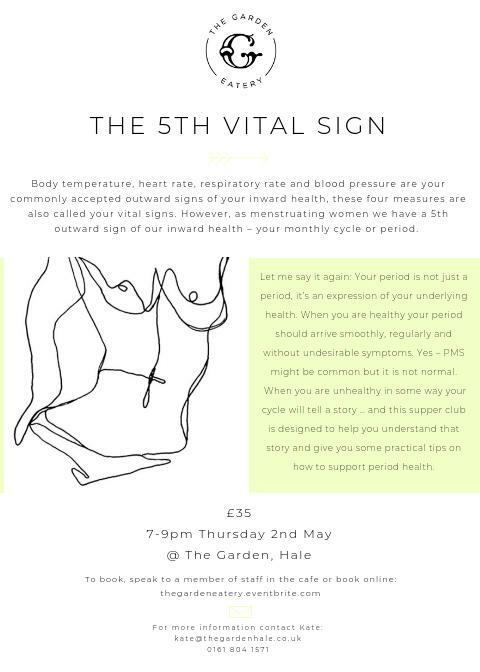 Female Health Supper Club – Thursday 2nd May – Click to book! Inner Power workshop with Caroline Britton – Wednesday 19th June – Click to book! Please stay tuned here and on our social channels for news of our Earth event coming in June. This event will help us to understand more about what we as individuals can do for the environment – covering areas such as single use plastic, food waste, fast fashion as well as an exciting introduction to our sustainability campaign. For any events that aren’t on Eventbrite, mail kate@thegardenhale.co.uk for more information or pop in to the cafe to book.